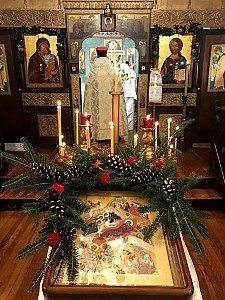 On Saturday the 6th and Sunday the 7th of January, the clergy and faithful of the New Kursk Root Hermitage in Mahopac, NY celebrated the great feast of the Nativity of the Lord. His Grace, Bishop Jerome, led the divine services, co-served by parish clergy: rector Priest George Temidis and Deacon Alexey Pnev. On Saturday morning, Divine Liturgy was served for Nativity Eve. Bishop Jerome delivered two sermons: the first, in Russian, on the words "from David until the carrying away [into Babylon]," on how we sometimes repeat the mistake of the people in ancient Israel, when they "heard but did not comprehend" the words of the Prophets about the Messiah, while we so often hear the words of the Church but do not listen; and, in English, on the words "That without us they might not receive the Promise," noting, "All the Saints and Fathers are looking at us and waiting for us!" After Liturgy, Vespers was served for the feast. A traditional luncheon was then held in the parish hall (the strict fast day being softened due to its falling on a Sunday), and after the All-Night Vigil that night, the traditional kutia and tea were served for those present. 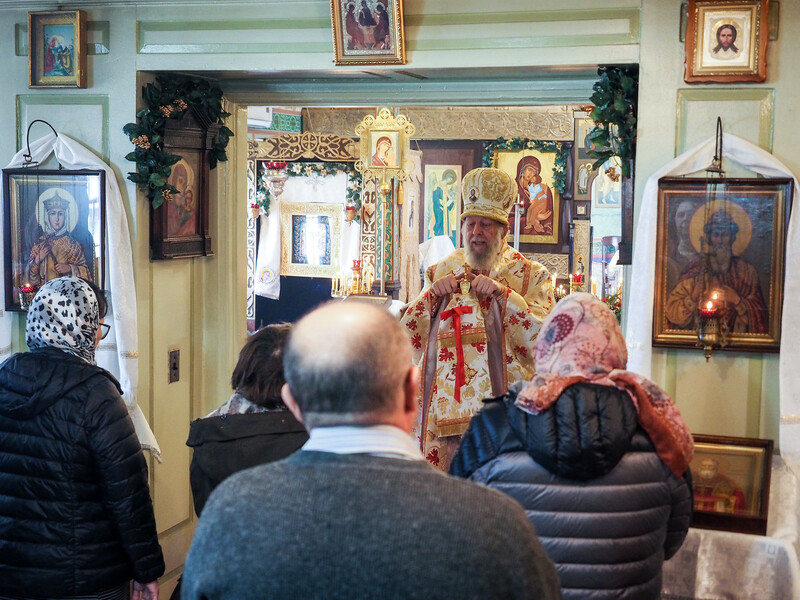 That evening, perhaps unbeknownst to many regular parishioners, a special event took place: immediately after Vigil, the local Georgian Orthodox served their own All-Night Vigil, followed by a midnight Liturgy in the "summer church" of the Hermitage. 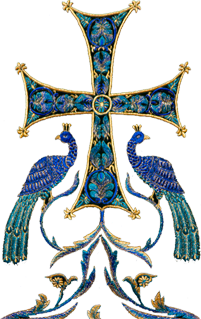 On Christmas Day, His Grace celebrated the festal Divine Liturgy. He delivered a sermon on the verse from Psalm 47, "We have received Thy mercy, O God, in the midst of Thy people," which was once part of the Antiphons at Liturgy on the feast of the Nativity day, but the meaning was changed by a Greek scribe who copied the word "ΝΑΟΣ" by mistake with the N changed to Λ, so that "in the midst of Thy temple" became "in the midst of Thy people" (i.e. instead of "εν μεσω του ναου Σου" it became "…του λαου Σου"). Both meanings still apply to us – we, among "all Thy people," were in church today (rather than at work or in school), but "we have received Thy grace (the Hebrew word "chesed" can be grace or mercy) in the midst of Thy church". The clergy noticed many new faces at the services. Owing to advance phone calls asking if there would be any English at the Vigil, the choir sang some portions of the service in English.